12 December Lazada Singapore Revolution! Up to 85% off! 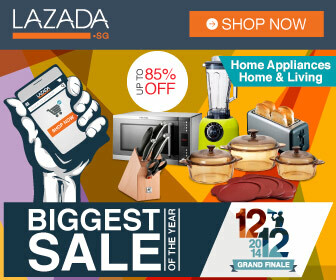 Did you know that Lazada Singapore is holding a very huge sale on 12 December? Bigger than Black Friday in fact! Free shipping for purchase above $40 and much more! Win $10 when you sign up Lazada.sg Newsletter! Re: 12 December Lazada Singapore Revolution! Up to 85% off! After reading this. I tried buying with them on Sunday. I choose c.o.d. For the first time and was surprised it work well! Just a little troublesome on my side as I purchase from different seller and so I have to prepared different amount when my deliveries came. Probably next time I will pay all and I just receive the goods would be more convenient. Overall my experience with them is positive. Thanks for the recommendation!